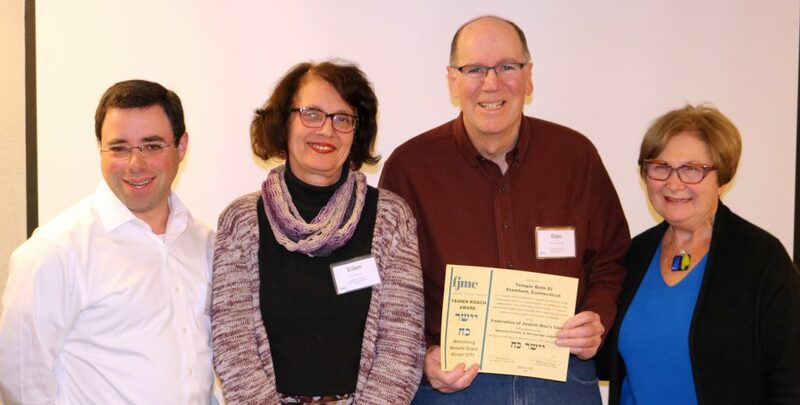 The award, which was funded by the National Center to Encourage Judaism, was presented at FJMC’s annual Keruv Conference held in Bethesda, MD, in March. Synagogues across the United States and in Canada attended. Keruv (Hebrew for “to bring close”) is an FJMC initiative which assists Conservative synagogues that seek to create a warm and welcoming environment for intermarried families and their children. Temple Beth El has participated in this initiative for over a year.